Ok, here we go again… The walls are now smooth without old wall papers so just need to do another 100 layers of paint again. 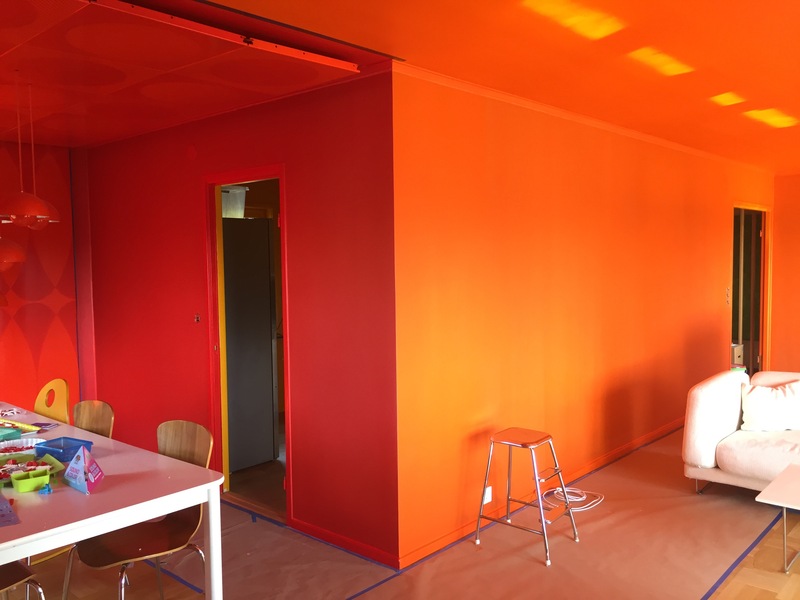 We also changed the yellow-orange color to orange for better matching to the red dining part. The red is also a little more vivid for a perfect match with the red enamel. It feels much better.